Rafael Benitez says goalkeeper Martin Dubravka had to be stronger after Wolves' controversial late equaliser denied Newcastle victory at Molineux. Isaac Hayden's second-half strike left Newcastle on the brink of a third Premier League win in five, but two points were snatched away in the fifth minute of stoppage time when Willy Boly rose above Dubravka to nod home. Boly had his arms over Dubravka as the pair competed in the air but referee Graham Scott allowed the goal to stand, with Benitez saying Newcastle should have defended better. "These kinds of balls you can do a little bit better - just punch the ball and finish," he told Sky Sports. "I was not very clear watching the replay, but it's something we have to defend better. "We know that it is England and people will come against the 'keeper so he has to be strong enough." Benitez entered the field of play at full-time to voice his concerns with the match officials but, on reflection, had no qualms with referee Scott's performance, adding: "I was not happy with some decisions but overall, I think he was fine, so I cannot complain about that." "You have to be disappointed," Benitez added. "We knew it could be a difficult game but little by little we had control. "Then when we scored you could see they were changing everything, but still we had some control. "Everybody knew we had the three points and it was really disappointing to concede the way we did. We were winning, that is football. 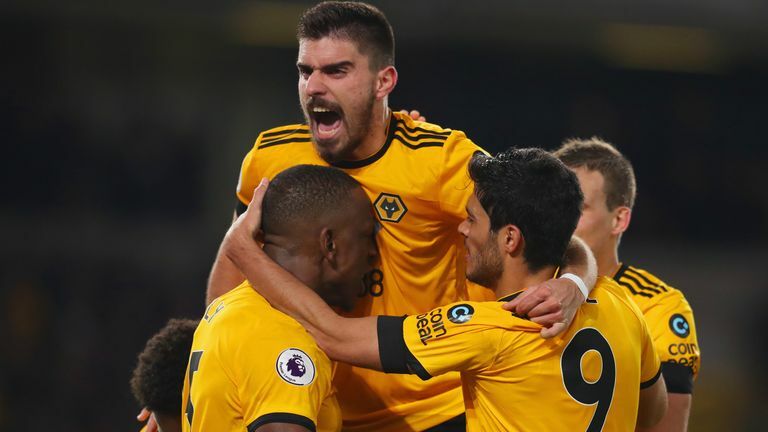 Jamie Carragher and former Newcastle striker Patrick Kluivert analyse Wolves' last-gasp equaliser, claiming that there was no foul and Martin Dubravka should be stronger under the circumstances. "In a game that we were winning we conceded in the last minute so both games we have been really unlucky against Wolves team this season. "We did well but when you go to the final minute winning you cannot be happy."